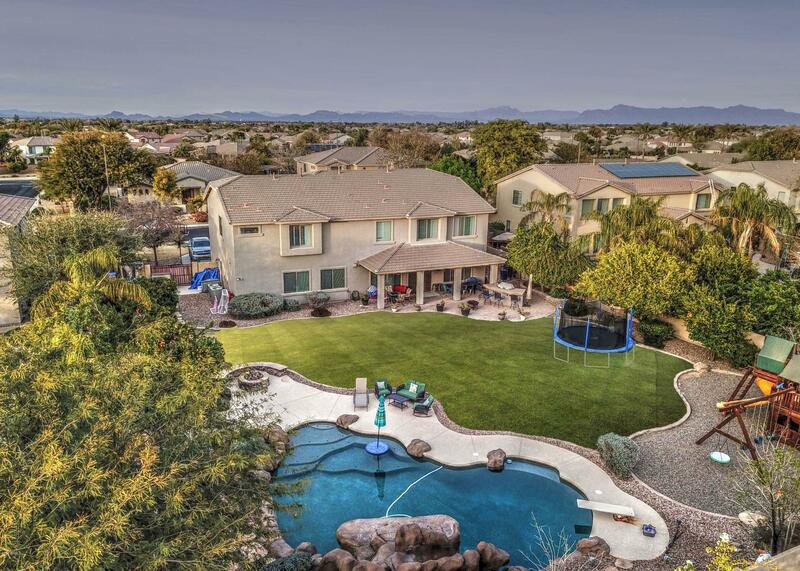 All SEVILLE COUNTRY CLUB homes currently listed for sale in Gilbert as of 04/22/2019 are shown below. You can change the search criteria at any time by pressing the 'Change Search' button below. "Estados' ONLY CUSTOM home for sale! Sprawling single story split floor plan w/exquisite upgrades behind the gates in Seville Country Club! Beautiful, gated front courtyard, wrought iron entry w/cantera surround. Enormous covered patio in back overlooks parklike yard. Master retreat is private getaway w/ sitting area, his & her closets, sunken tub, chandeliers, massive walk in shower & french doors to the patio. Custom wine cellar w/ brick floors, etched glass door, granite & built ins. Kitche"
"Hard to find HALF ACRE LOT in Seville Country Club, with RESORT STYLE backyard and just STEPS to all the clubhouse amenities! HUGE home-HUGE LOT! 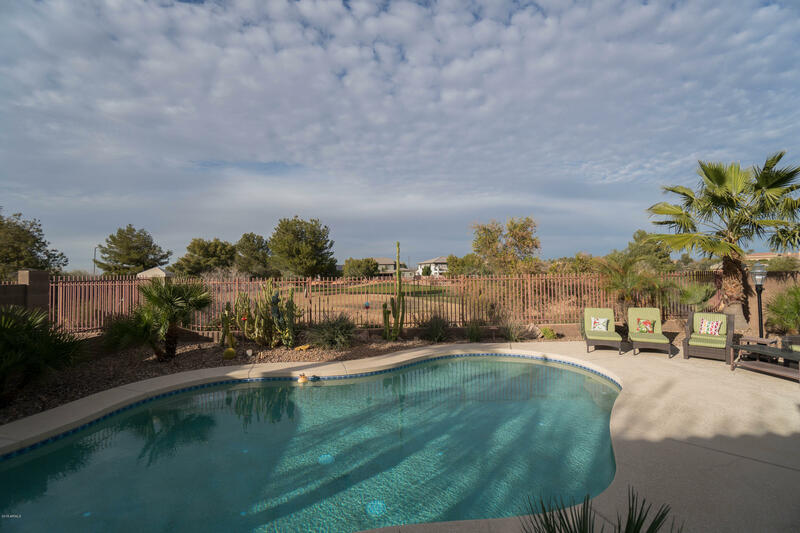 Backyard is your own oasis w/pebble tec diving pool w/waterfall & grotto, spa, firepit, built in BBQ & enormous grassy area. This size lot is RARE in Seville!! 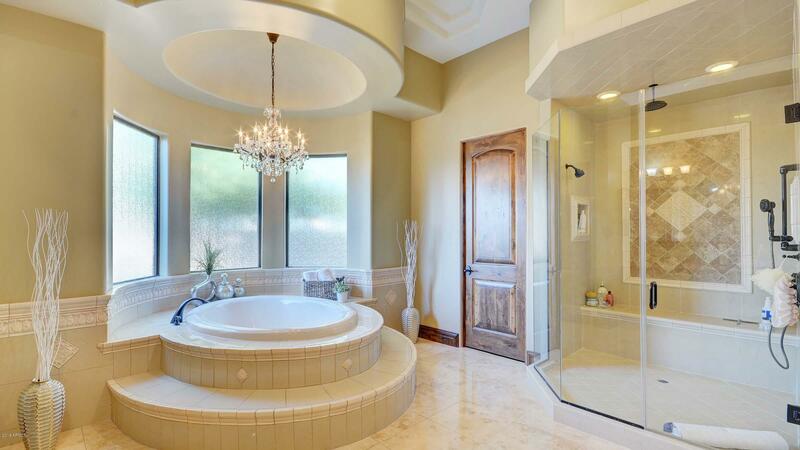 Interior of home has dramatic soaring ceilings upon entry and lots of living space. Kitchen boasts granite counters, double ovens, gas stove, island with bfast bar and enormous walk in pantry. M"
"PREMIUM GOLF COURSE lot WITH RESORT STYLE BACKYARD overlooking the beautiful 10th green of Seville Golf Course! This one had a huge lot premium! Selling fully furnished! Great vacation home! !CUSTOM KITCHEN recently installed with WHITE CABINETS, chiseled edge upgraded granite, and massive, oversized center island. Lot borders orange grove to the east. Walking distance to Seville Country Club, Riggs Elementary and steps to the ''big park'' in Seville proper. Backyard is a resort with sparkling bl"